The ZNR-48TB-R from Ganz is an up to 74 IP cameras, 48TB RAID-5, and DVD-RW. The ZNR RAID-5 Series is a powerful line of servers that are optimized to work with NVR Software for sensitive & long-term storage of IP/megapixels cameras. 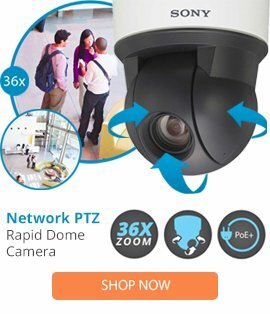 Designed for use with Ganz ZNS Series, GanzVision and all other major brands of surveillance software.